Currently at IDRsolutions we are dreaming up some big innovations to add to our products in the coming year. With that in mind we have some very exciting news to share with you all. This month we will be releasing a new major JPedal version! We also have a big change in mind for next year (one which was decided upon after a lot of debating and cups of tea), which is to update our code base in April 2017 to run and compile under Java 8. We are not updating the version number just for show. Oh no, we have been working on some cool features behind the scenes including: re-skinning our current Java Viewer, tidying up our API’s and incorporating XFA into every JPedal jar instead of having two different releases. And those are just the tips of the iceberg. We are also looking to add forms saving and supporting new image formats while improving support with our current formats. If you are interested in these features then stay tuned next week when we will release more information in another blog article that will highlight and explain all of these features and more. Why are you moving to Java 8? code base at Java 6 to be compatible with some of our customers specifications but we feel it is now time to move on (especially with Java 9 coming ever closer to being released!). 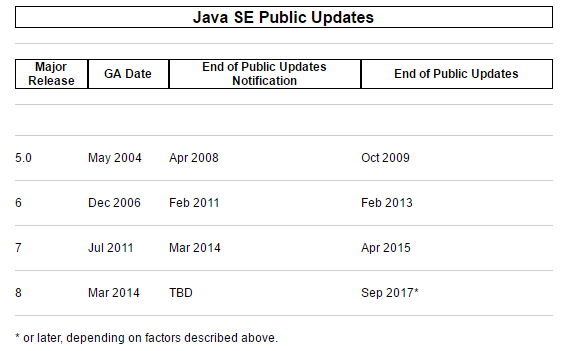 One of the major reasons we are updating to Java 8 is because of the cool features we have not been able to implement because it would break Java 6. We want faster conversions using streams and lambdas. We want cleaner code using default methods. We want our code base to be the best it can be, in order to give our customers the best product that we can offer. We know this a big step for everyone so that is why we are telling you all a year in advance.